Oooo… my old fashion.What we see in the present its begin past and the past into the future some history, we are known when it was beginning some mystery to us like cosmetics.The cosmetics of the past are often a mystery to us. 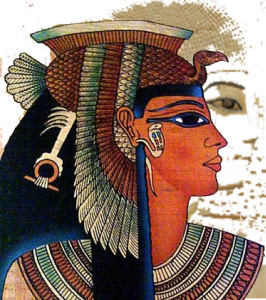 Some argue that cosmetics spans over 6000 years and some tell cosmetics spans 100000 years of human history. With over thousand thousand years of experience because human nature to always struggle to perfect new way to express ourselves. Cosmetics helped change the way we look. Evidence of cosmetics certainly dates from ancient Egypt.Face painting is mentioned in the evidence eye shadow was used Egyptian back to 10000 BC.12 thousand years ago the ancient Egyptians exposed medicinal abilities of scebded oils.cosmetics industry rose higher and higher when it becomes an important part of their religion. When cosmetics found out sits of Egypt there reached resistance in Greece and Rome. This lead to the increase of the prices, and some wealthy women managed to gamble large fortunes on expensive cosmetics from India and Middle East. Some civilization cosmetics also received similar cruel treatment from time to time example, china common people were executed if they were caught wearing nail polish in public and in Japan, noble women were not allowed to walk in public without full body cosmetic treatment.